Originally an 18th century coral warehouse and sugar mill, the late British designer, Oliver Messel carefully restored many of the original features of the Cotton House. 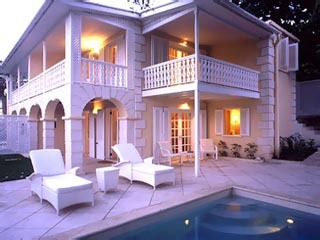 The Cotton House underwent a full scale renovation, completed in December 1996 and a second phase of the renovation in December 1997, the restoration of an original Oliver Messel house to the "Coutinot House" which now boasts five of the most deluxe and distinctive rooms and suites. In the Caribbean with the third refurbishment and development in 2004 saw the creation of the two bedroom Cotton Hill Residence, two Duplex Suites, a large swimming pool and a number plunge pools and the total refurbishment of all existing rooms. It is widely recognised as one of the Caribbean's top established luxury resorts. Located on the tiny Grenadine island of Mustique which is only 3 by 1/2 miles, the Cotton House is situated on a picturesque hillside surrounded by the Caribbean Sea to the west and the Atlantic Ocean to the east. Mustique is one of the most exclusive private islands in the world and the Cotton House is the island's only full-service hotel. The Cotton House has been managed by GLA International since November 1998. Veranda Restaurant Open for Breakfast and dinner, dining in this restaurant encompasses the best of the Caribbean flavours incorporating the local supplies in offering a menu that is a simple yet an eclectic international gastronomic experience. The Great Room The Messel design with it colonial feel makes this room a focus point of the hotel where guests mingle, meet and relax. Enjoy your afternoon tea on the veranda that overlooks the Lilly pond, have a pre-dinner cocktail or after dinner cigar and cognac; this room is a lounge that creates a feeling of being. In Room dining Choose from the Chef’s selection menu or let them cater to you needs by creating a menu that will be served to you in your own private dining area. In Room Dining at the Cotton House is more than just room service, it is an experience which reflects the attention to detail and a moment of culinary delight. Beach Cafe Restaurant & Bar Al fresco dining on the water's edge is a casual dining experience that you can only experience at the Cotton House. The menu appreciates the local produce and delivers a selection of fresh caught fish, lobster, salads, baguettes, fried seafood baskets, pizzas and grill items that is simple yet light and delicious. The Beach Endeavour Bay beach is just a step away from your room and known on the island as one of the finest beaches of the nine beaches on the island. Fully serviced to hotel guests hotel offers beach towels on arrival, with complementary refreshing sorbets. Chilled towels and cold water offered during the day. A full beverage service is offered by our beach attendant from the Beach Cafe bar. Pool Bar This area by the pool deck is serviced by the pool bar where a complete beverage selection is available as well as beach towels on arrival, with complementary refreshing sorbets, chilled towels and cold water offered during the day. 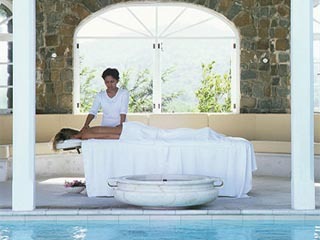 A full beverage service is offered by our pool attendant from the Pool bar which was the original Sugar Mill.